Many people grow up afraid of the dentist is a doctor who firmly associated with pain and children's tears. Therefore, it often happens that even adults suffer tooth pain, delaying a visit to the dentist, which in some cases can end in tears. Flux popularly called periostitis — inflammation of periosteum of the maxilla or mandible. The causes of the flux are different. Most often it is untreated or poorly treated tooth — if the tooth already has infection, its growth can reach up to the periosteum. Less frequently, infectious agents may be listed in the periosteum with blood and lymph. 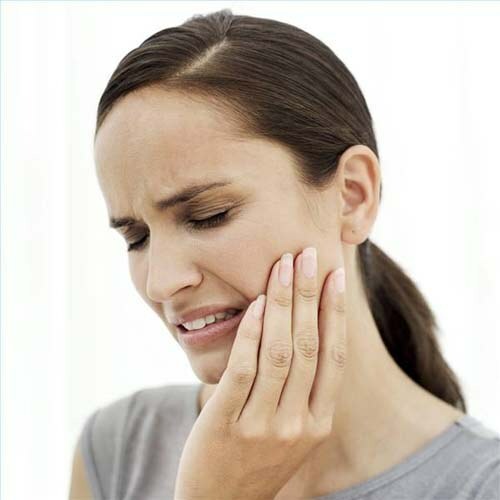 There are two types of traumatic abscess when inflammation develops following injury of the jaw or soft tissues of the face. The first symptom of flux toothache. The pain is unbearable, somewhat burning in nature. The gums are a little swollen, but at first it's not too noticeable. At this point, you can treat the abscess conservatively. If you skip this step, then inflammation will begin to grow — swelling will increase, spread to the cheek, increase nearby lymph nodes, increased body temperature, General weakness. Delay a visit to the dentist at this stage is impossible. The flux is dangerous with its complications, in the absence of adequate treatment, he may develop in the abscess — diffuse inflammation of the soft tissues. Let's not forget that the teeth are in the head, and through the blood the infection can easily get into the brain. Treatment of flux always chooses the doctor. Treatment can be operative and if conservative. If the inflammation is not running, the tooth is damaged and must be restored, the dentist will try by all means to preserve it. In this case, the patient is recommended to take nonsteroidal anti-inflammatory drugs, antibiotics usually do not apply. If the periosteum is formed pus, then the dentist will cut the gum and the periosteum under the causal tooth, will clean the wound and establish drainage to expedite the discharge of pus. This little operation is done very quickly and usually gives quick and good results in the treatment of flux. Many patients try to be treated at home, to warm the aching tooth dry heat. But this can only aggravate the situation, because the heat contributes to the spread of the inflammatory process. If purulent process extensive, and the causal tooth is severely damaged, cracked, has a badly healed or impassable channels, the tooth restoration is not subject. In this case, a tooth extraction. But this is no ordinary removal with forceps, the doctor will do a small operation. Patients also try to drink a particular antibiotic, but it does not give a good result. Because of the peculiarities of the blood supply to the area antibiotics the flux is practically useless. A special dental saw or a laser incision is made on the periosteum, is auditing wounds, its anti-bacterial, removed damaged tissue and then by parts to extract the tooth. This is done this way to prevent the dressing of the infection through the blood to other organs and tissues. Then superimposed drainage and fixing seams. After the discharge of pus ceases, the wound impose absorbable sutures. Tooth extraction when the flux is not always. The dentist always tries to save the patient's tooth and avoid surgery.